Last Monday was fun day for bloggers in Jakarta to attend cooking class with #InovasiDapur Phillips. 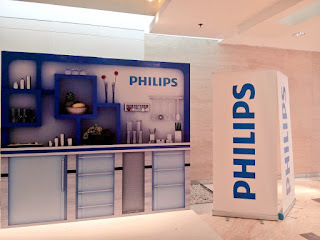 Very excited to go this event, not just it was cooking class, it was because Phillips's products that I'm interested in. 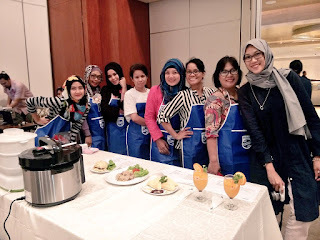 You know how good Phillips are, I think most women love to have Phillips in their kitchen :D.
And even more excited as most of the participants were mom bloggers! 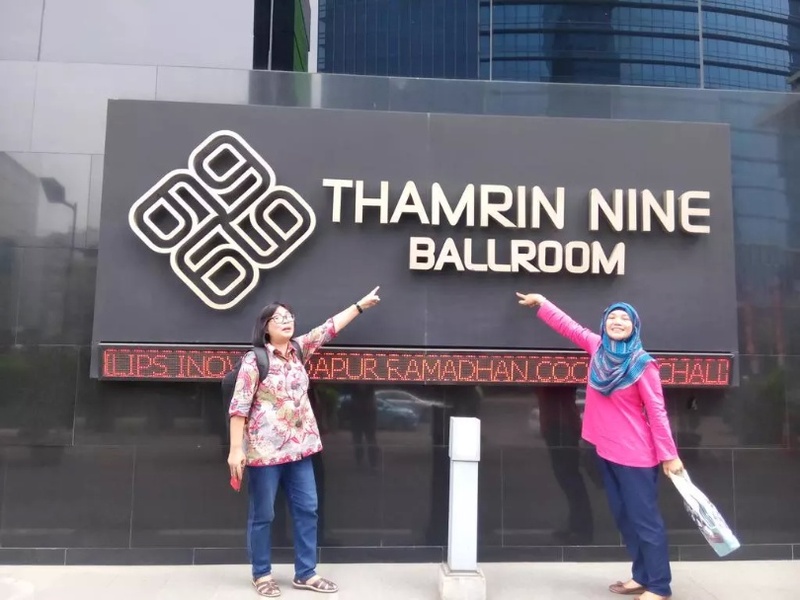 With my beloved friends Ersa, Waya and I, we were driving all the way to Thamrin Nine, which was located only 10 minutes from where we were. 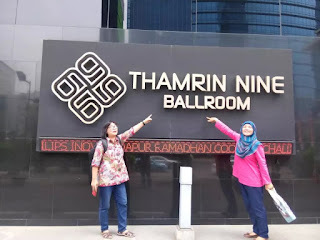 But due to our lack for the direction, we were lost looking for the address. 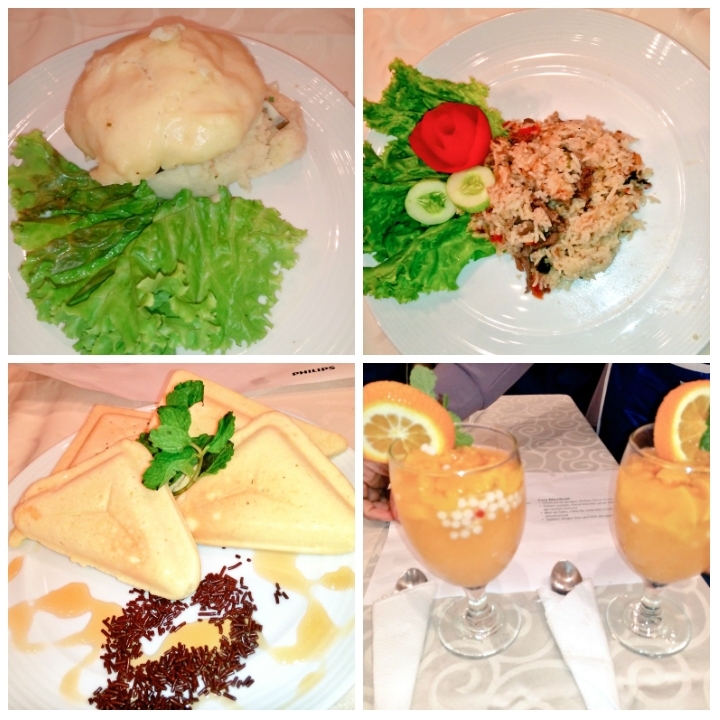 At least we arrived before the cooking class began :D.
We were put with the group of table 12, at the very back. Happy enough because at least we got a group! Each group was given three recipes to cook for a competition, contain of main course, drink and dessert. 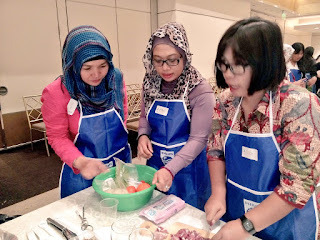 As the three of us were late so we let the others to do more jobs, meanwhile we were just the helpers :D.
Although there was a bit chaos and panicking among the groups due to the electricity was gone, all participants still looked happy and the cooking was done in the right time! The Briyani was the main course that need to be cooked by each group, it was cooked with Phillips Electric Pressure Cooker HD12136 - perfect place for cooking for mommy! The Electric Pressure was designed specially for multifunction cooking. With extra capacity is 5L, and also non sticky. The good thing from this great tool, it was designed to keep the nutrition. Phillips Steamer is even better, it can steam the foods faster with healthier result. Steaming vegetables are healthier than fried, so if you fans of steam foods then this Phillips Steamer is your answer. We used this Philips Steamer on Monday to steam chicken 'Bakpaw'. It was quick and delicious! With Phillips, cooking seems an easy job. I never imagine cooking Briyani would be as easy as that. If I didn't come to this cooking class event, I might still think Briyani was too complicated to cook. But the Phillips Electric Pressure approve that anyone can make Briyani easily, quick, and yet delicious! What most women like from Phillips are the product itself has very good quality. They're might not as cheap as the others but we won't regret to have them for long time. 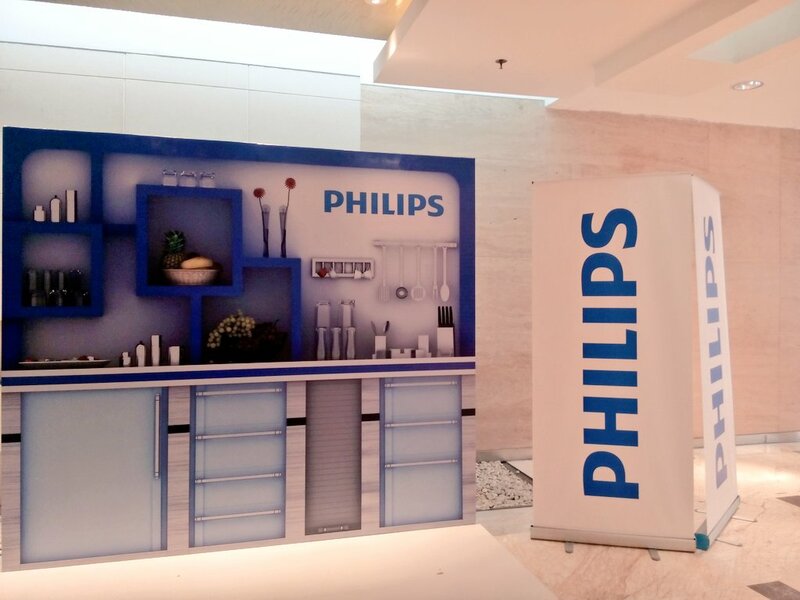 Since I use many Phillips products for very ong time so I know them well, like using light from Phillips. 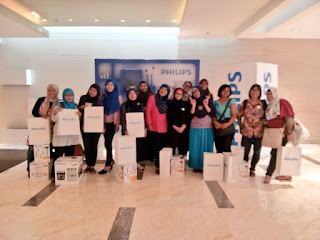 Apart from juice maker, one of my favorite kitchen tools from Phillips are the Electric Pressure Cooker, I'd love asking it to my hubby for Christmas present :D.
Last but definitely not the very least, here is the photo of happy bloggers that winning the door prize.